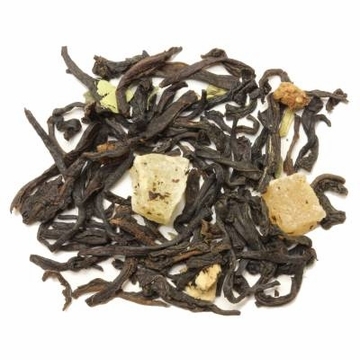 This tea is made from top grade orange pekoe Ceylon with natural strawberry flavoring. 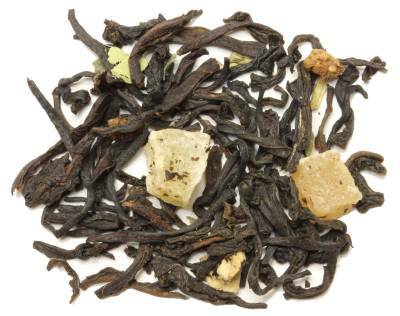 The Ceylon tea is grown at the altitude of 7000 feet above sea level from the Sri Lanka region. When brewed this tea produces a bright coppery color liquid with fresh strawberry flavor and with touches of mild astringency. A fantastic fruit tea. Free shipping with purchase over $60. Got my very favorite on earth tea, and very quickly. Perfect as always! Have bought this a number of times. Everyone loves it. The Strawberry Black Tea was fragrant and delicious! I love the burst of berry flavor when you take your first sip. It's a must have. I am usually not a fan of strawberry flavored products. But this is out of this world. By far the most natural tasting strawberry black, I have ever tasted, and in fact best strawberry flavored ANYTHING other than actual strawberries! My wife describes it as tasting like cough syrup. I would say it's almost like an over-sweetened gummy. I'm sure it's a quality product, we just don't the taste (compared to some of the other amazing black teas from EnjoyingTea). This is beyond a doubt the best tea I've ever had.I bought it just to try and now I must have it everyday. I brew it several times. I've tried it as ice tea also, but I find I prefer it hot. All my friends come to visit just to have this tea. Seems natural, good flavor, high marks. I just bought my third 1-lbs bag of this tea. Since I tried it for the first time (I got it as a complimentary sample), I drink it every morning, and can't get enough of it. Very tasty. Perfect.